December is here again and the last of our late summer perennials have been tidied away until next year. We are left with out winter flowering plants now which are starting to establish themselves. Although they have been flowering for several weeks already, nothing in my opinion can beat our much loved cyclamens. They are so delicate looking but as hard as nails when it comes to standing up to what Nature has to throw at them. These hardy plants produce prolific quantities of blooms even in the most hostile of environments and are quite happy in the dry shade under trees. 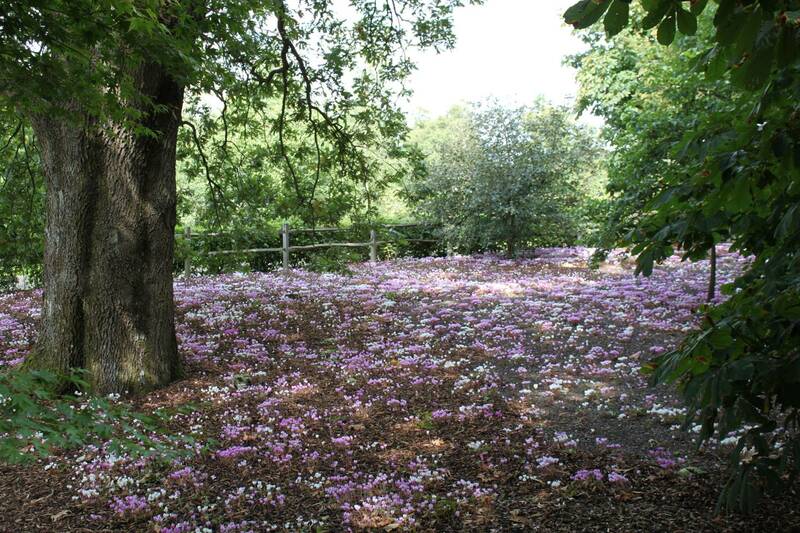 They create an amazing carpet of colour when planted en mass in a woodland environment. 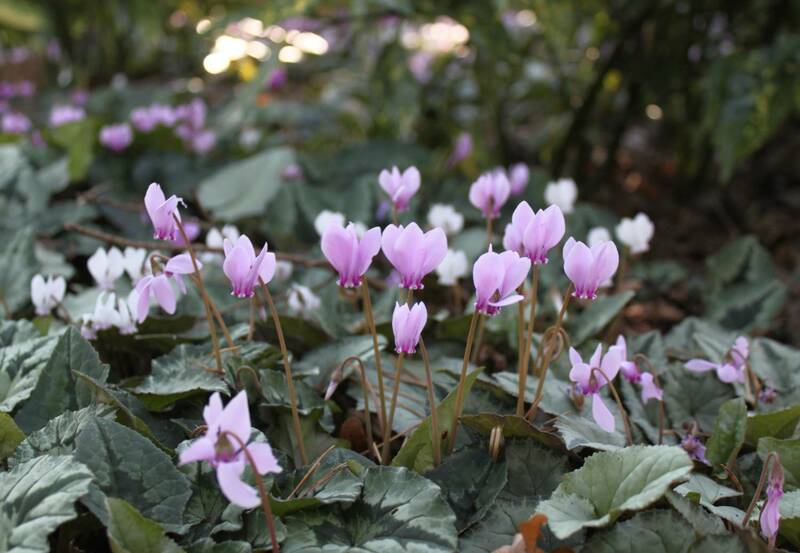 Even when not flowering, Cyclamen produce attractive variegated leaves for at least nine months of the year but it is their display of white, lilac and every shade of pink blooms through the autumn and early winter months that bring them to the fore. Their beauty, coupled with the fact that Cyclamen are almost maintenance free, ensures that they really are one of the most popular woodland shade plants available.